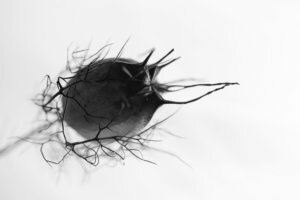 Join us for our North Gallery artist reception featuring two local photographers, Mike Hiatt and Larry Mendenhall with their exhibit From Our Soil: Monochromes in Nature. Complimentary beverages and small bites. Free to attend; please RSVP here. Mike Hiatt With more than 25 years in visual communications and multimedia design, I’ve returned to my first love, photography. Over the past few years I’ve focused on environmental, architectural, and urban images. I shoot mostly in black and white, looking for light, contrast, mood, and story. I often go out in an area with visual possibilities and let the day unfold. The images on display are my look at the natural world- it’s patterns, tones, textures, and shapes. Some required standing back to take it all in. Others needed a closer look until the beauty was revealed. 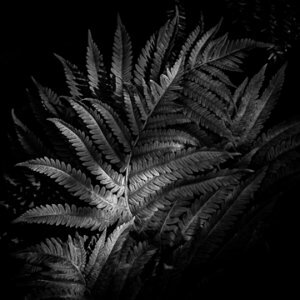 Larry Mendenhall The photographs in this exhibit explore how the shapes and forms of plants create a world of mystery, remind us of the sound of dry leaves crunching under our feet, and dance to the rhythm of light and shadow. I chose to photograph in black and white to emphasize how light creates mood and texture and to eliminate color as a distracting element. The images were photographed as found, the result of Mother Nature’s artistic eye. The few times I tried to improve on Mother Nature’s composition were laughable, so I limited my role to just finding the best point of view. The exhibit featuring Mendenhall and Hiatt will be on display in the North Gallery and artwork will be available for purchase from Feb 1 until April 12, 2019.